A company in crisis is often referred to as a ‘sinking ship’ but that’s a metaphor you really don’t want to hear when the company in question is Carnival Cruise Line. Last week, a passenger posted a disturbing video on Facebook of water rushing into the ship, along with a message that sounded, most absurdly, like a cry for help. I like to think that the passenger was joking when they asked social media followers to send their prayers – but I’ve seen Poseidon Adventure a dozen times. Knee deep water in the corridors of a ship at sea; I’d be asking for more than just prayers. I’d be tweeting for the Coast Guard. The video went viral and was picked up by every news agency and Carnival’s PR department was faced with yet another attack on their company’s reputation as a fun and safe way to travel. In the past, Carnival has taken heat for sickening passengers, allowing a brawl to get out of control and earlier this year, two passengers died due to falls (one overboard and one to a lower deck). Now here comes a passenger with a cell phone and an internet connection and suddenly the ship has been renamed The Titanic. According to Carnival (and I believe them), the ship was never in danger of going down. A water sprinkler pipe burst and created quite a mess. Only 100 passengers were affected by the flood which was contained AND cleaned up in under five hours. What’s important here is that Carnival didn’t panic, even though I’m sure many of the people on board the ship were doing just that. They also didn’t attempt to gloss over the problem. The statement they issued is a textbook example of proper crisis communication. First, they admit there was a problem and dive right in addressing concerns about the ship’s operation. Next, they acknowledge the efforts of not only the crew but their customers. They emphasise the speedy response and the lengths they went to accommodate people who were concerned about the incident. Note, that even though they didn’t have rooms for the affected passengers to sleep in, they found a comfortable place for them. Not ideal, but it was better than forcing already worried passengers to do something they didn’t want to do. We never want our guests to experience anything other than a perfect vacation, so we sincerely regret that we inconvenienced nearly 100 guests. We provided a full refund and a future cruise credit as a goodwill gesture. We offered to fly the impacted guests home at our expense if they wanted to disembark early and only two of the nearly 100 guests that received our offer chose to do so. 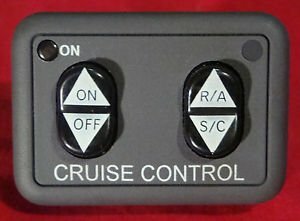 I don’t know what a cruise costs, but I know it’s not cheap. Refunding all 100 guests, even though they were only inconvenienced for a few hours was a HUGE move. The line that really gets me is that they offered to buy airline tickets for those 100 people if they wanted to leave the ship. By stating that only 2 chose to take advantage of the offer, Carnival reinforced the notion that the incident was minor – understandable upsetting – but handled. The last part is the only piece of the press release that feels a little like a dig at the media. Most of the guests on board were not even aware of the incident until the last 24 hours as word circulated and our passengers heard from friends and family who saw media reports. Needless to say, the tremendous positive attitude of our guests and crew is proof of why we are America’s favorite cruise line. Cruise ships are like floating cities. If your neighbor has a flood, you might find out when you see the plumbers show up. If the house two streets over floods, you won’t know unless it shows up on the news . . . or Facebook. We here at Reputation Refinery say “bravo” to the PR team and the management of Carnival Cruise Lines for their deft handling of what could have been a very damaging social media blowout. It was an ALMOST perfect plan. On the day of the flood, Carnival’s social media team posted a cute video of an underwater skin diver signaling us to “hang loose”. The caption reads: Hang loose, or, as we say underwater, float normally! A weird coincidence that could have made it look as though the company was making fun of the concerned passenger’s flood video. Final lesson: social media channels have a delete button. Use it if recent posts hit too close to home during a corporate crisis.